Discussion in 'Playstation VR' started by Darth_terra, Jan 12, 2017. Looks good! Those jumps will test your stomach! Great news. Worth picking the game up now in the January sale. 70% off. PSVR is getting more and more tempting. Purchased thanks to Captain H.
£16.49 for PSN users - was £15.99 in Nov / last sale. I didn't even know it was in the sale, so bought it anyway, and will sell my disk copy on. 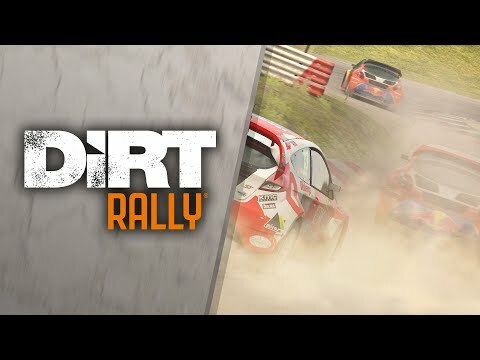 I LOVED Dirt Rally (For the time i played it atleast).. With a G29 it was sublime.. But easily the most difficult driving game I ever played and I lost interest pretty quickly. But I am more than happy this is coming to VR as it could be amazing. I havn't played Drive Club at all, only because i went off the physics after playing Project Cars.. On VR day one I had one quick game (using a DS4 not the wheel), and realised how much I disliked the handling and never went back... I just don't have the urge to play it. But Drift is more of a simulation with aggressive controls, requiring finesse on the throttle and constant adjustment of the steering to correct over-steer and this is more up my street... I can't wait! Good call, might follow suit. Absolutely made up about the VR update, knew it was coming & pro support, that's the cherry! Pro support and I am sold! I bought this yesterday and it is a really good game, can't wait for the VR patch although I think it will be a challenge on VR sickness at first as it is considerably bumpier than drive club with a lot more sliding around. I also found that I had to really lower the saturation on the wheel to make this driveable with a wheel rather than a pad. Had a session yesterday in "cinematic mode" using the headset as a taste of things to come. Oh my, it's intense, even "flat" (but never flat out!). Suddenly I've fallen in love with the in-car view (& I mean, the steering wheel, dash, full in-car) never has this happened before, albeit even with loads of encouragement on here to persevere, it just didn't happen. Outside chase mode was all I knew...which now looks & feels horrible!...weird. Now, I really cannot wait for VR! Do we have a date for the vr update? Not yet, checking regularly. Can't wait for this on my Pro. A couple of weeks will suit me as I'll be busying myself with RE7VR soon. Think I might hold off on DC and wait for this. As much fun as DC is the a scenery is a bit too low rez. Bought for 22 delivered at 365 games. I thought the Vr update was out this month. I've not heard anything since it was announced. Yeah, I've been waiting too. I thought this thread had news, tsk. It's a great game, but I don't want to get too far in as I'd rather do the whole thing in VR.